Have you ever experienced receiving a gift but you have don't something for the other person? You're not alone. It is an awkward situation that almost everyone has experienced at least once. You might laugh about it later; however, that doesn’t mean it should be ignored when it does occur. During the holiday season, there’s bound to be someone you forgot about who drops off a gift. Don’t be caught off guard and empty-handed. Purchase a handful of gift cards from places that anyone can enjoy. Most people enjoy movies and restaurants. If you wind up with some at the end of the season, you can save them for other occasions or use them yourself. There are some places that everyone enjoys, so pick up gift cards to places that have the broadest audience or fan base possible. Many people enjoy having plants, so choose some that are either decorative or edible. Poinsettias are easy to find, and they are ideal for holiday decorations. Most people who cook at home would appreciate herbs. Succulents and other potted plants are popular with all age groups. Put a decorative ribbon around the plant and have them in a place in your home where they add an element of style to your décor. When guests stop by with a gift, jot the person’s name on a card and either tie it onto one of the stems or nestle it into the plant. Purchase some items that are gender specific but are one size fits all. Try to choose things that are generic enough that almost anyone would like them. When someone brings you a gift, you can pull one out and quickly put a small to-and-from tag on it. If you pull it out of your regifting box, make sure you’re not giving it to the person who gave it to you first. Even if you choose not to have something for the adults who surprise you with gifts, the children are different. It’s always nice to have something special for the small-fry set. It typically doesn’t take much to excite a child as long as it’s wrapped in pretty paper and has their name on it. Having a small box filled with fun items for kids will come in handy throughout the year. Most of the time when friends or coworkers have a gift exchange, it’s announced ahead of time. However, there may be someone in the office who chooses to give you something outside of the organized event. This might hurt a friend’s feelings temporarily, but someone who wants to maintain the relationship will eventually get over it. However, you need to brace yourself for a period of time when you might get not-so-nice comments or the silent treatment. Most people at work will take the hint that it’s better to follow office protocol for gift giving. If they don’t, there’s nothing you can do but repeat the above. If you don’t have funds in your budget for extra gifts, consider purchasing holiday cards and having them signed and ready to give out. When someone gives you a gift, excuse yourself momentarily to jot his or her name on the card. The person might figure out what happened, but if you do this with a cheerful demeanor (and a hug), you should be just fine. Make a note on your calendar to pick up a small gift for that person next time a holiday rolls around. If you receive a special gift that deserves something equally special in return, apologize and say your gift to them is coming soon. You don’t have to lie and say it’s on order. Simply say you’ll deliver it in the next couple of days. Then change the subject to get out of the awkwardness. 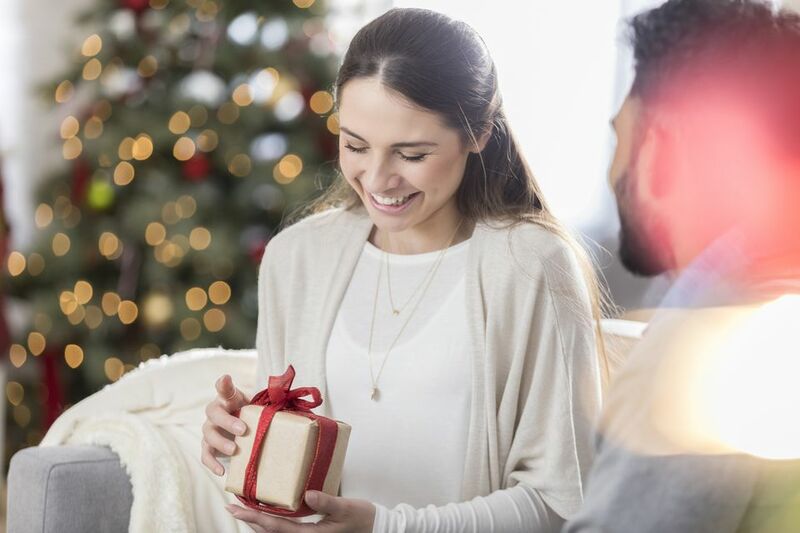 One option is to state that you aren’t exchanging gifts with anyone outside your family, and you’d appreciate it if others would honor your decision by not giving you a gift. There are no guarantees that people won’t hand you something, but since you’ve already made your intentions clear, you’re off the hook. One problem with this is that you’ll start feeling guilty, and you’re likely to eventually cave and buy gifts anyway.